When going as a tourist to a big city like New York, no matter how long you stay, you will find that there is never enough time. Rosemary and I managed to visit the Metropolitan Museum of Art (for a whole day), the Frick and MOMA. We would have liked to go to the Guggenheim but there were no hours left in our schedule. I particularly wanted to visit the Whitney to see my favourite Edward Hopper, New York Interior. We never did make it, but fortune granted me an unexpected surprise. While in New York we went everywhere taking advantage of the subway (known as the MTA) even though it is much more complex than my familiar Buenos Aires subte. 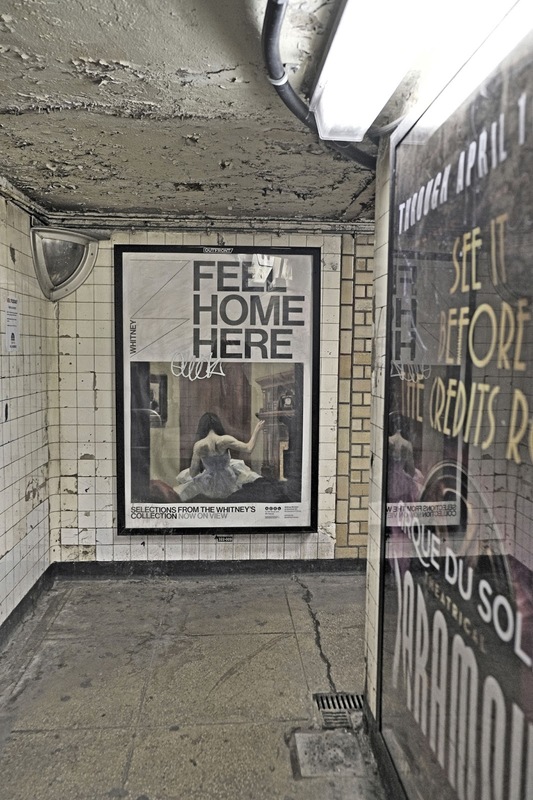 The New York subway could emulate some of the features of the subte. The most important would be to to use all those vacant walls (and they are pretty well vacant) for ads. 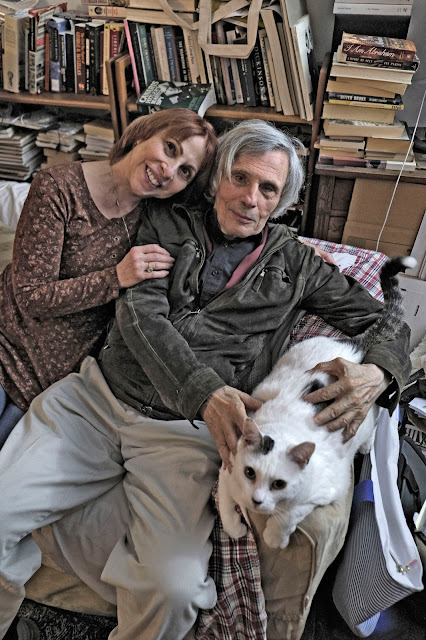 One evening we went to have dinner with Lenore Riegel and writer Jerome Charyn in Greenwich Village. As we were climbing up the stairways there was the New York Interior. After a lovely dinner at the Café Cluny we were invited by Charyn and Riegel to meet Ketzel at their apartment. As you would imagine a writer’s apartment, particularly one whose output exceeds 60 novels, shorts stories, etc (including one on ping-pong) is full of books. Ketzel was charming and easy to photograph. Not so Charyn who closed his eyes for many of my exposures. For me Hopper’s painting has always been called New York Apartment in my mind even though I know better. And so the high moment of our trip to New York City were two New York Interiors.